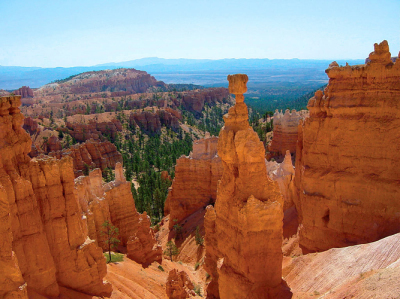 Utah US State is a western state defined by its vast expanses of desert and the Wasatch Range mountains. 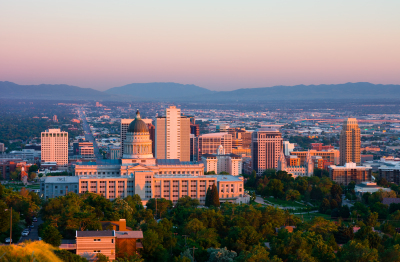 Salt Lake City, the capital, is centered around Temple Square, headquarters of the Mormon Church and site of its majestic temple and tabernacle, with its massive dome and renowned choir. The Great Salt Lake’s buoyant waters attract swimmers and sunbathers, especially at Antelope Island State Park. Capital: Salt Lake City Population: 2.943 million (2014) State flower: Calochortus nuttallii Governor: Gary Herbert Colleges and Universities: University of Utah, Mountains, high plateaus, and deserts form most of Utah’s landscape. At Four Corners, in the southeast, Utah meets Colorado, New Mexico, and Arizona at right angles, the only such meeting of states in the country. Utah became the 45th member of the union on Jan. 4, 1896, with Salt Lake City as its capital. 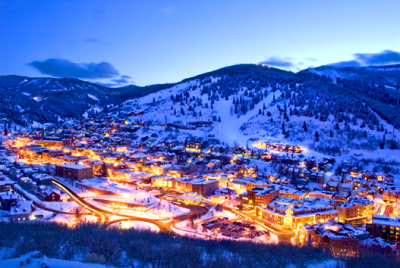 Utah is known for having some of the best skiing in the country, and the mountains near Salt Lake City receive an average of 500 inches of snow per year. During the 19th century many Mormons settled in Utah, and today approximately 60 percent of state’s residents are members of the church. the Church of Jesus Christ of Latter-day Saints dedicated the Seagull Monument, located on Temple Square, in 1913. In 1955, the California Seagull was designated the state bird. On May 10, 1869, the first transcontinental railroad was completed when the Union and Central Pacific Railroads joined rails at Promontory Summit in Utah Territory. A tie made of California laurelwood bearing a silver plaque with the railroad’s completion date and four precious metal spikes were presented during the Golden Spike Ceremony; however, an ordinary tie and iron spikes were used to unite the rail lines. Although annual precipitation averages less than 5 inches within the Great Salt Lake Desert, the northern Wasatch Mountains receives more than 60. During the drought of 1976-1977, communities were forced to ration water as the state suffered from its driest period on record with only 7.7 inches of precipitation. In 2010, Utah had the youngest population in the U.S. with 33 percent of residents under the age of 18. It also maintained the highest birth rate, with 86.7 births per 1,000 women between the ages of 15 and 44. Arches National Park in southeastern Utah contains over 2,000 natural rock arches. The widest, known as Landscape Arch, extends 306 feet from one base to the other. 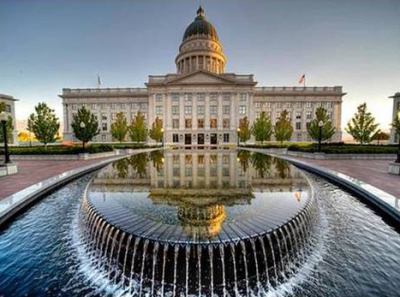 For nearly a century, the State Capitol has been one of Utah’s most prominent landmarks. Designed by local architect Richard K. A. Kletting, the Capitol has been home to state government since its opening in 1916. From 2004 to 2008, the Utah State Capitol underwent one of the largest historical preservation projects in the United States. In addition to safe-guarding the building against the risk of an earthquake, the project also repaired and restored the original beauty and artwork of the Capitol. Each year, thousands of people visit the Capitol to witness its modern magnificence and historic significance.